God’s Love We Deliver turned 30 years old on May 1, 2015. So much has changed in our 30 years, but our core values have not. Every day our clients struggle with malnutrition, hunger, illness and isolation. When they contact God’s Love, they find a community who cares deeply about them. 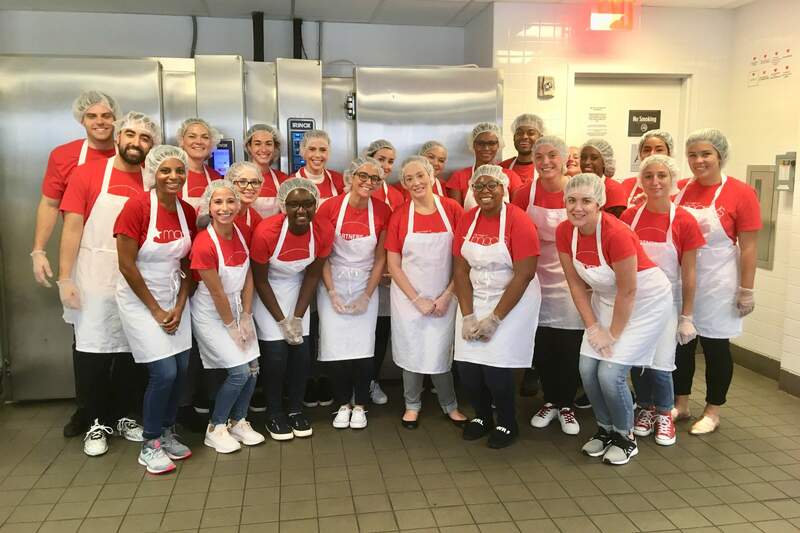 Together, we are dedicated to cooking and delivering the individually-tailored meals and nutrition counseling our clients require at a time in their lives when they need it most. We do this – free of charge – with dignity, respect and compassion. For the next twelve months, we’ll be doing things – big and small – to celebrate and remember our 30th Anniversary. In May, we will recognize 30 people and organizations who have played an important role in the history of God’s Love. Image 1 of 29 In 1985, Ganga Stone brought a meal to an AIDS patient, Richard Sayles, who was too ill to cook for himself. She realized that something as basic as delivering a meal could bring dignity and recognition to a desperate situation. The severity of Richard's situation demanded something more than simply delivering food. It required preparing nutritionally-tailored meals that would support an individual's specific medical treatment. On her way again, with a new meal in hand, she was stopped by a minister in the neighborhood who recognized her. He asked what she was doing, she told him, and he replied, "you're not just delivering food ... you're delivering God's love." And Ganga said, "That's the name." With Jane Best, God's Love We Deliver was founded. Thank you, Ganga and Jane, for your compassion, your vision, and your love. Today we celebrate you! Image 2 of 29 The late, great Joan Rivers was a beloved friend of God's Love for over 25 years, demonstrating deep commitment, compassion and generosity. For years, she supported the Race to Deliver, bringing her energy, voice and laughter to Central Park on those early November mornings to support our runners, teams and friends. Joan volunteered every Thanksgiving, bringing her daughter Melissa and her grandson Cooper with her. Each year, she delivered holiday meals to our clients, surprising them with jokes, bringing warmth and care and brightening the holiday for so many. In 2009, she won over $500,000 for God's Love in the NBC reality competition, Celebrity Apprentice. 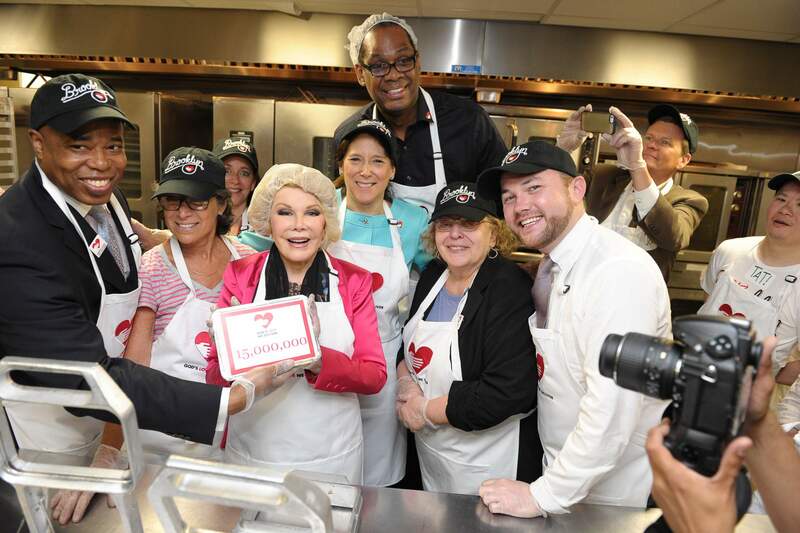 In honor and commemoration of our dear friend, we are naming the bakery in our new building The Joan Rivers Bakery. Joan brought love, compassion and humor to every delivery she made and every event she supported. Joan's impact on God's Love will be felt always by our clients, volunteers, staff and supporters. As we celebrate 30 years, we celebrate our many years with Joan, who will forever be in our hearts. Image 3 of 29 The M·A·C AIDS Fund serves people of all ages, all races and all sexes affected by HIV/AIDS, in communities where people are most neglected, off the radar and at highest risk. MAF supports programs that deal directly with the most marginalized, stigmatized and under-heard victims. MAF celebrates humanity, life, creativity and individuality. Making a difference, one VIVA GLAM lipstick at a time. Since 1993, MAF has contributed millions of dollars to God's Love We Deliver, funding that has been critical to our ability to carry out our mission while never maintaining a waiting list and never charging for our services. Over the years, funding from the MAC AIDS Fund has meant that literally thousands of people living with HIV/AIDS have had a place to turn for meals and nutrition counseling at a time in their lives when they needed it most. And, the M·A·C AIDS Fund has made it possible for us to engage in the advocacy needed to advance public policy that supports our clients. On behalf of everyone at God's Love and especially our clients, we are so thankful for the many years of generous and continued support of the M·A·C AIDS Fund. 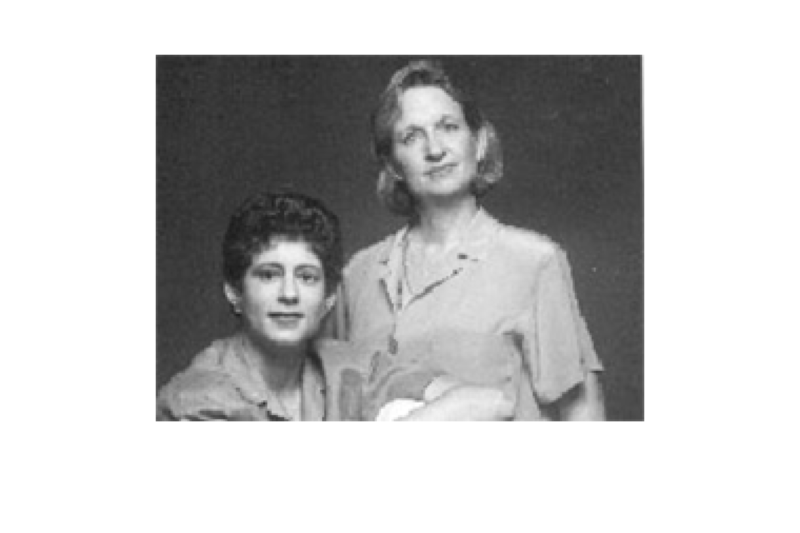 Image 4 of 29 In May of 1994, Kathy Spahn was named the second Executive Director of God's Love We Deliver. During her six years at the helm, God's Love continued to grow and achieve new heights. In 1995, we delivered our one millionth and moved into our new home in SoHo. In 1997, we delivered our two millionth meal and our volunteer program grew and thrived. And, by the end of Kathy's tenure, we were cooking and delivering meals to more than 1,000 clients daily for the first time. We are grateful for Kathy's leadership and dedication. Image 5 of 29 The incomparable Blaine Trump has been a devoted friend and supporter to God's Love for nearly 30 years. Blaine was there with our founder Ganga Stone in the early days, at the forefront of the AIDS pandemic, meeting the challenge head on. As one of our earliest Board members, and the only person ever appointed to a lifetime Board seat, Blaine has helped guide the organization through years of change and growth. From a church basement on the Upper West Side, to the Youth Hostel, to our home in SoHo, with stints in Queens and Brooklyn in between, Blaine has seen it all and done it all. She's hosted countless dinners and cocktail parties to benefit God's Love, and introduced us to more supporters than can be counted. Her steadfast dedication to our mission, volunteers, staff, supporters and especially our clients has been remarkable and has helped make God's Love the wonderful place that it is today. Blaine, thank you for all that you do for God's Love! Image 6 of 29 David Geffen's reputation as a prominent philanthropist for AIDS organizations, the arts and theatre, and medical research is well deserved. In 1993, David's gift of $1.5 million enabled God's Love to renovate our newly acquired building in SoHo. In recognition of his wonderful gift, we named the building The David Geffen Building at God's Love We Deliver. David gave generously and often in the early years of the pandemic, helping make life better for countless people living with HIV/AIDS. God's Love will be forever grateful for David's vision and leadership which made our first real home possible. Thank you David Geffen from the bottom of our hearts! Image 7 of 29 Michael Kors has given his time, financial support, and huge heart to God's Love and to those suffering from hunger worldwide for more than 20 years. 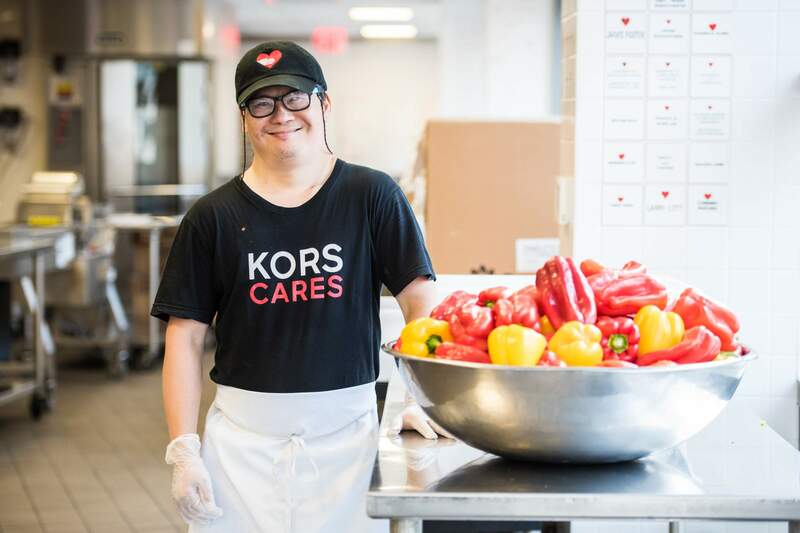 Annually Michael volunteers in our kitchen, as does his entire team every July during "Michael Kors Volunteer Month." In 2012, God's Love honored Michael with its Golden Heart Award for Lifetime Achievement, and later that year Michael joined the Board of Directors. His extraordinary lead gift helped make our new building -- The Michael Kors Building at God's Love We Deliver -- opening soon, a reality. Thank you Michael for your leadership and for your amazing friendship all these years! Image 8 of 29 The Avon Foundation for Women has been a wonderful supporter of God's Love for many years, becoming especially active after we expanded our mission in 2001. 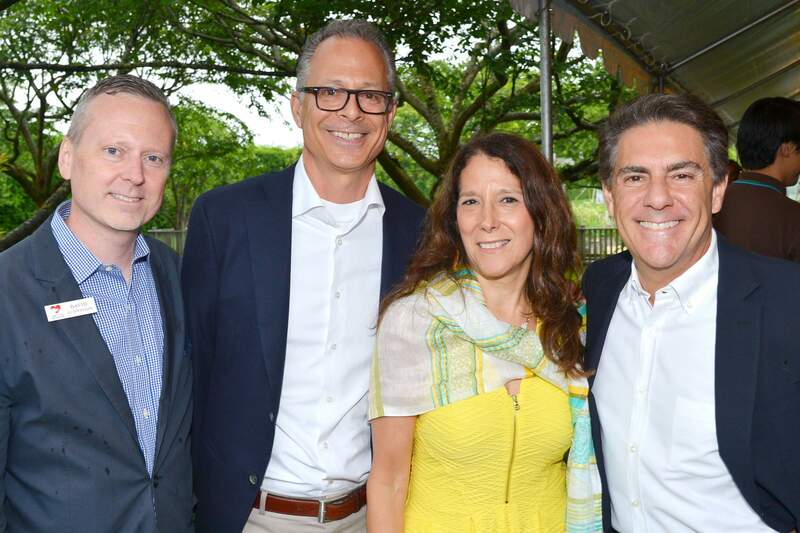 The Avon Foundation has donated nearly $2 million over the years, helping fund nutritious meals for thousands of women living with breast cancer, their children and caregivers. They have also given countless volunteer hours to help ensure every vegetable gets chopped and every meal delivered. God's Love partners with Avon on AVON 39 The Walk to End Breast Cancer, a 39 mile walk over two days to fund research, awareness, and education while providing assistance for families currently battling breast cancer. We host a cheering station and prepare lunches for the walkers and crew on the second day. And, of course, supply lots of Chuck's delicious brownies. God's Love salutes The Avon Foundation for Women and our wonderful partnership! Image 9 of 29 Richard Feldman's involvement with God's Love began in 1989 when his friend, Joseph Concilio, was dying of HIV/AIDS. He requested meals from God's Love, making his role as Joseph's care partner infinitely easier. After Joe passed away, Richard expressed his gratitude by volunteering to help with the preparation of meals, and he has been a wonderful supporter ever since. Soon, Richard joined the Board of God's Love, and in 1992 became the Board chair. During Richard's tenure God's Love established its unique, cutting edge Nutrition Department, to provide information about the important role nutrition plays in enhancing compromised immune systems, moved to our home in SoHo, and delivered our 1 millionth meal, among many other outstanding accomplishments. Today, Richard remains active as a member of the Board of Trustees. God's Love is forever grateful for Richard's heartfelt dedication to our important mission! Image 10 of 29 Since 1924, The New York Community Trust has helped make donors' and nonprofits' dreams come true by funding the organizations that make New York City a vital and secure place. The Trust is the city's community foundation and one of its largest funders. In 2001, after God's Love We Deliver expanded its mission to serve not just those living with HIV/AIDS but those with all life-altering illnesses, the Trust was there to help. 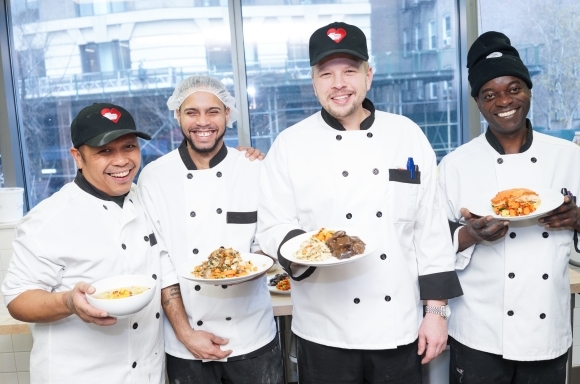 The New York Community Trust provided early, important support of our Cancer Program, underwriting expanded deliveries of our nutritious meals to clients living with breast, colon, ovarian, cervical, uterine, head, and neck cancers. The Trust remains a leading funder and this year renewed their support with a $100,000 grant for our Cancer Program which ensures ongoing meals and nutrition counseling for individuals and families affected by cancer, including those who are undergoing treatment. We are so grateful to the Trust for their years of support, leadership and partnership with God's Love! Image 11 of 29 Nancy Mahon joined God's Love in 1995 as a member of the Board of Directors. Then, in April, 2000, she was named the third Executive Director in the history of the organization. During Nancy's tenure as ED, God's Love made a number of critical program improvements that stand to this day, including expanding the mission to include all life-altering illnesses, beginning delivery of frozen meals and the launch of our Community Partners initiative. In 2004, Nancy oversaw the move of our kitchen to Long Island City while we renovated our SoHo kitchen. This renovation improved capacity by 66% and laid the infrastructure for our future growth. 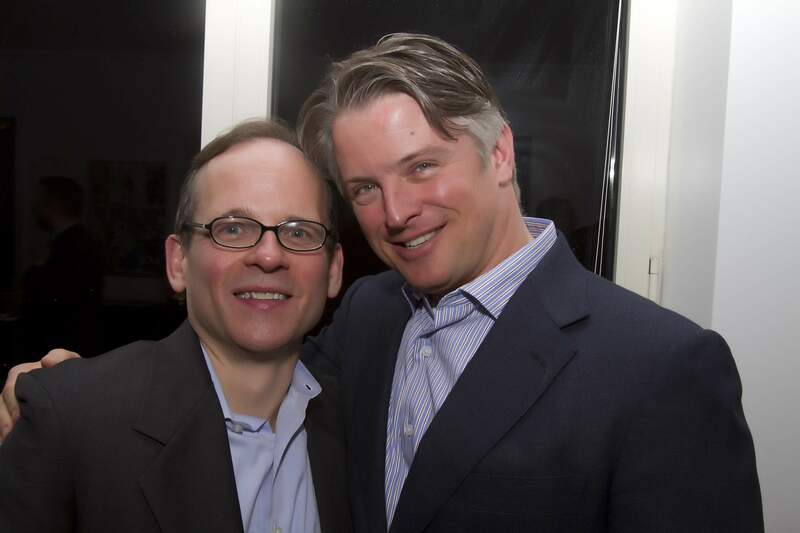 Other significant milestones include the expansion of services to two AIDS service organizations in New Jersey and the celebration our 20th Anniversary. In 2007, Nancy left God's Love but didn't really go far, as she became the head of one of our most important funders, the M·A·C AIDS Fund. God's Love celebrates Nancy's 21 years of wonderful support during our 30th Anniversary year! 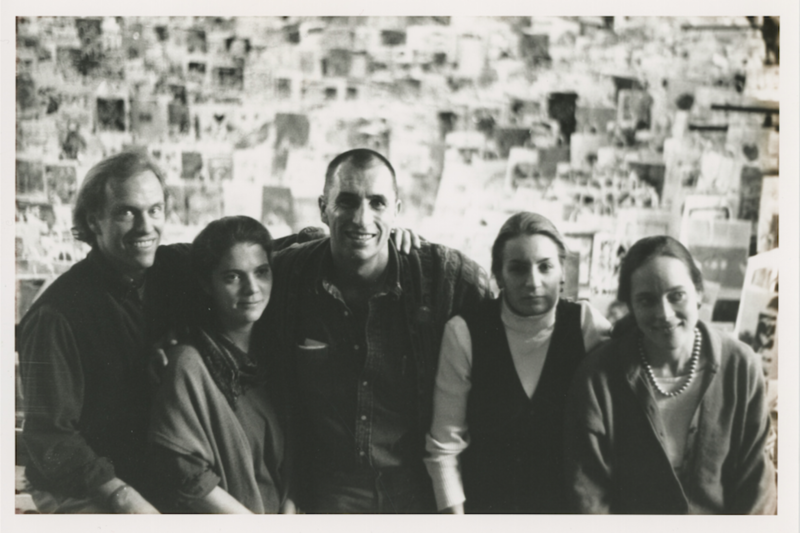 Image 12 of 29 Broadway Cares/Equity Fights AIDS is one of the earliest funders of God's Love We Deliver, making its first grant in 1989. 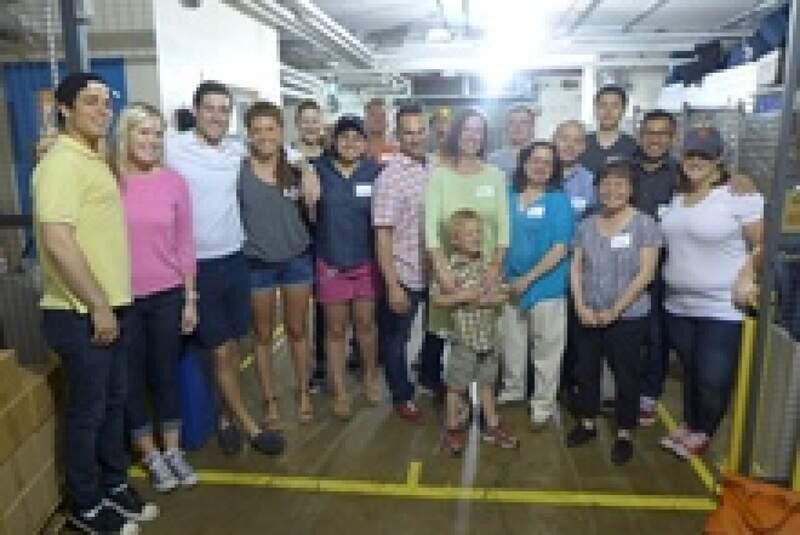 For the past 26 consecutive years, God's Love has counted on the generosity of BC/EFA to feed some of the most vulnerable New Yorkers, people living with HIV/AIDS who are too sick to cook or shop for themselves. BC/EFA is one of the nation's leading industry-based, nonprofit AIDS fundraising and grant-making organizations. 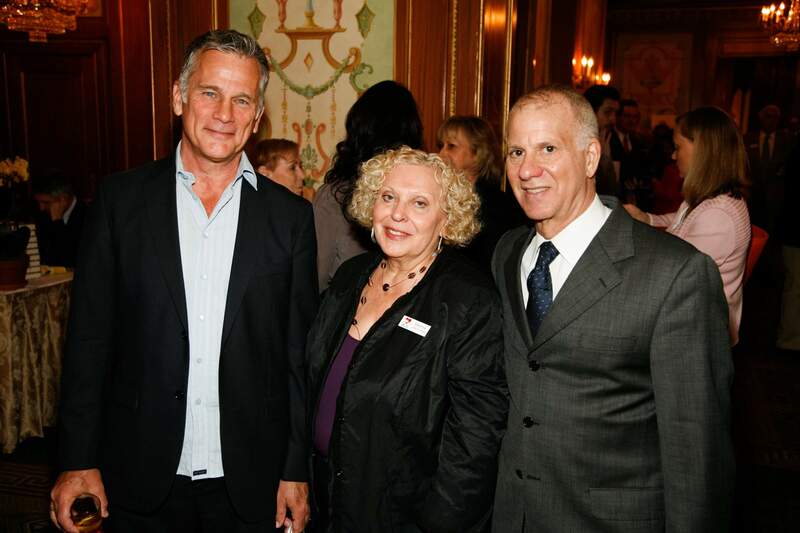 By drawing upon the talents, resources and generosity of the American theatre community, since 1988 BC/EFA has raised more than $250 million for essential services for people with AIDS and other critical illnesses across the United States. God's Love We Deliver offers our profound thanks to BC/EFA and salutes the amazing work you do every day! Image 13 of 29 For nearly 20 years, Steven and Alexandra Cohen have generously supported God's Love We Deliver. They have a strong belief in the importance of helping those in the local community in need, especially families. Their foundation is committed to inspiring philanthropy and community service by creating awareness, offering guidance, and leading by example to show the world what giving can do. In 2013, Steve and Alexandra made a significant gift to our Expansion Campaign to complete the construction of the new second floor kitchen, to be named the Steven and Alexandra Cohen Kitchen. Over the years their foundation has done wonderful work in support of children's health, veterans, neighbors, arts, and education. 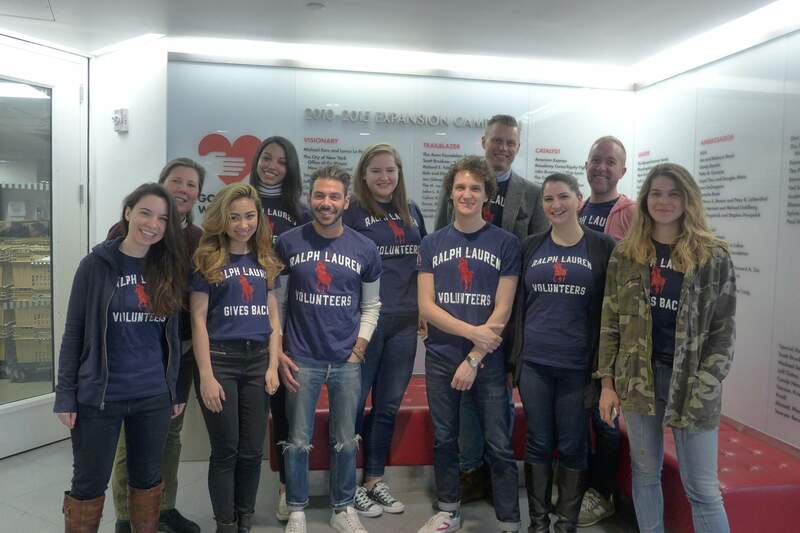 God's Love is incredibly grateful for the amazing support of Steven and Alexandra, who help make our services possible for thousands of our New York neighbors every year. Thank you so much! Image 14 of 29 Jeff Gates and Mike Moran have had an enormous impact on God's Love We Deliver. As volunteers, donors and two of our greatest ambassadors, their passion for God's Love and commitment to our mission has never wavered. Mike started with God's Love move than 20 years ago as a kitchen volunteer when God's Love was working out of the American Youth Hostel. He then served for more than 10 years on the Board of Directors, and currently serves on the Board of Trustees. Jeff is the Vice-Chair of the God's Love Expansion Campaign. Their lead gift in 2010, to name our new board room, kicked off the Campaign in great style. In 2013, God's Love presented Jeff and Mike with the Golden Heart Award for Outstanding Volunteerism -- how wonderfully appropriate. We are forever grateful for their leadership, friendship and profound commitment to the success of God's Love. Thank you Mike and Jeff! Image 15 of 29 Since 2000, Michael Sennott has served in leadership roles at God's Love We Deliver with grace and style. For many years, Michael expertly led God's Love as Chairman of the Board. In his current dual role as Chairman of the Expansion Campaign and of the Board of Trustees, Michael is leading the charge to raise $36 million for our new building, as well as working as the ultimate God's Love ambassador in the community. Wherever Michael goes, new friends and supporters seem to follow. He has given countless hours to forwarding and funding our mission, and works tirelessly on behalf of our clients. Michael is truly one of a kind. We are forever grateful for his thoughtful leadership and dedicated commitment to God's Love We Deliver. Image 16 of 29 Sylvia Vogelman is the ultimate God's Love We Deliver volunteer. 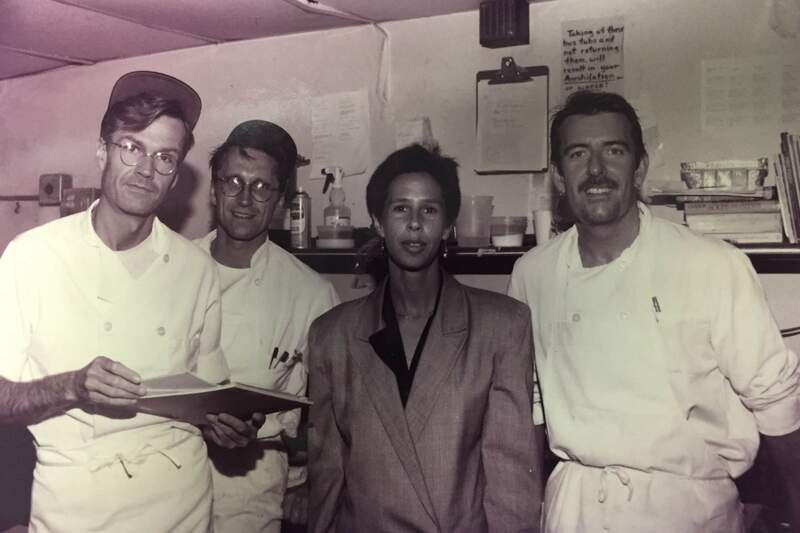 She began working in our kitchen on the Tuesday morning crew in 1992, more than 23 years ago. In 1995, Sylvia joined the Board of Directors and served for 15 amazing years, eventually as Board Co-chair. 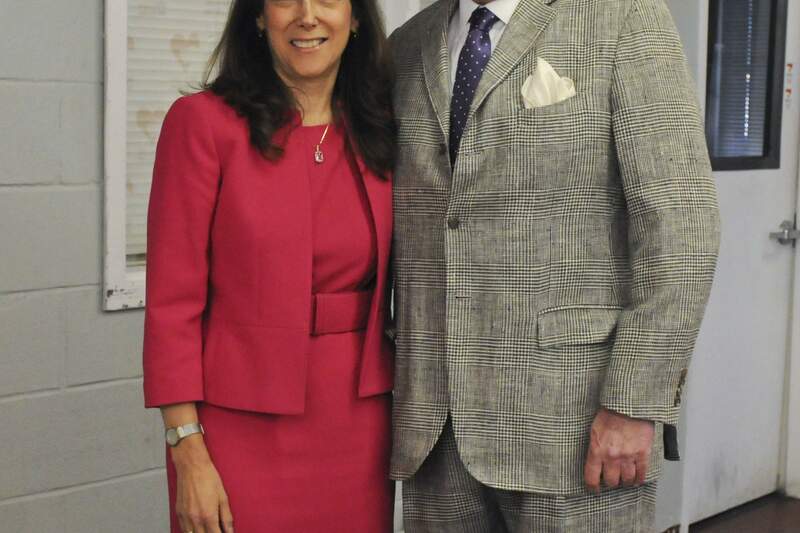 She currently serves God's Love as a member of the Board of Trustees. Sylvia is a tireless ambassador for our mission. She is a true champion for all God's Love staff, volunteers and clients. While Sylvia has seen many changes at God's Love over the years, one thing remains the same: her undying commitment to seeing that our clients are served, without pretense, without charge, without fail. From everyone here at God's Love, thank you Sylvia for all you've done over more than two decades of dedicated service! Image 17 of 29 Tat Leung has volunteered at God's Love We Deliver for more hours than any other volunteer in our 30 year history - an astounding 24,677! Tat found God's Love through the Manhattan Transition Center and became one of Chuck the Baker's first volunteers. Today, he continues his volunteer work with Chuck, helping with day-to-day baking production. "I can count on Tat," says Chuck. "He knows how to do everything in that kitchen, and even tells us what to do!" Over the years Tat has become a close and valued member of the God's Love community. He is always willing to pitch in to help and is quick with a smile and a warm hug. We can't thank Tat enough for being one of the most hardworking, dedicated and sweet volunteers to ever serve at God's Love! Image 18 of 29 Karen Pearl joined God's Love We Deliver as our President & CEO in September 2006. Over the past eight years, Karen has led important strategic improvements that have expanded and enhanced the organization's capacity to serve its clients, their children and senior caregivers. 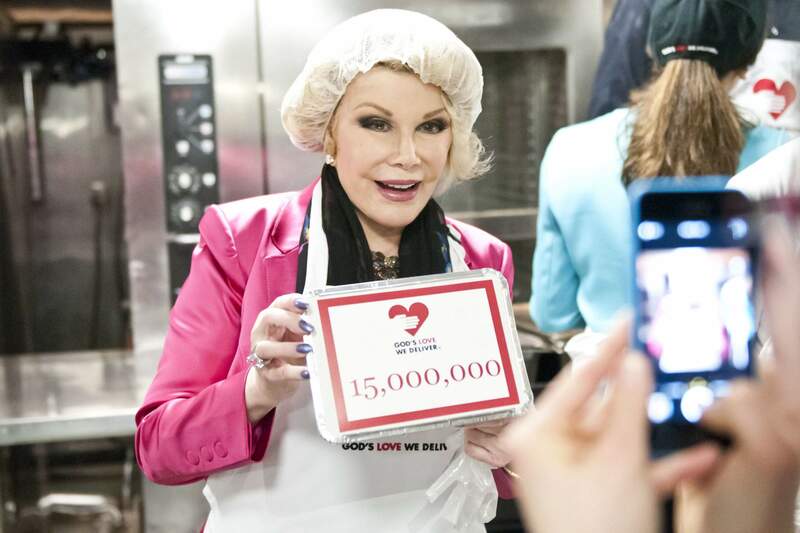 During her tenure, the number of meals cooked and delivered annually has grown by 94% to more than 1.3 million a year. Also during this time, God's Love moved to a fully chilled and frozen delivery model, perhaps the most significant agency change since we expanded our mission in 2000. A brand new menu was introduced, including, for the first time, a special menu for children. Karen has also led successful local, state and federal advocacy efforts to ensure access to food and nutrition services for those living with severe illness. In 2010, God's Love won the prestigious New York Times Nonprofit Management Excellence Award. 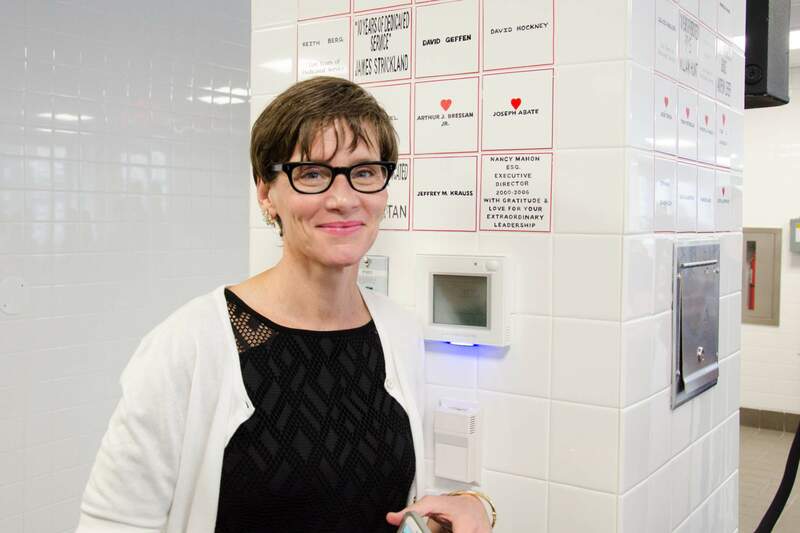 Also in 2010, Karen helped launch the $36 million Expansion Campaign for the new Michael Kors Building at God's Love, which will open next month and which will allow us to meet the growing demand for our services for years to come. We thank Karen for her vision, compassion and leadership, which have made a lasting impact on the staff, volunteers, donors and especially the clients of God's Love We Deliver. Image 19 of 29 Anna Wintour, the Editor-in-Chief of Vogue magazine and Artistic Director of Condé Nast, has been a champion of God's Love We Deliver and our clients for more than two decades. Anna was a leader at the forefront of the HIV/AIDS pandemic, helping to raise badly needed funds for God's Love and other HIV/AIDS service organizations around the world. 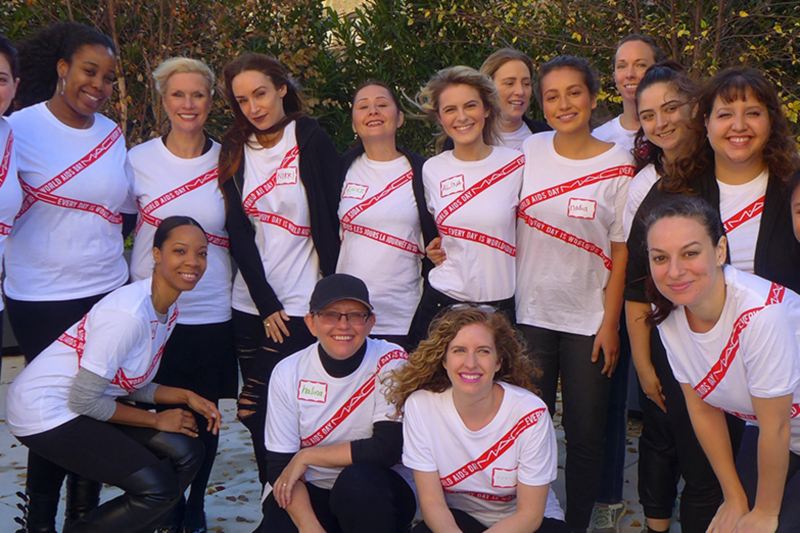 Funds raised from her work with the Council of Fashion Designers of America and 7th on Sale helped us cook and deliver thousands of nutritious meals. 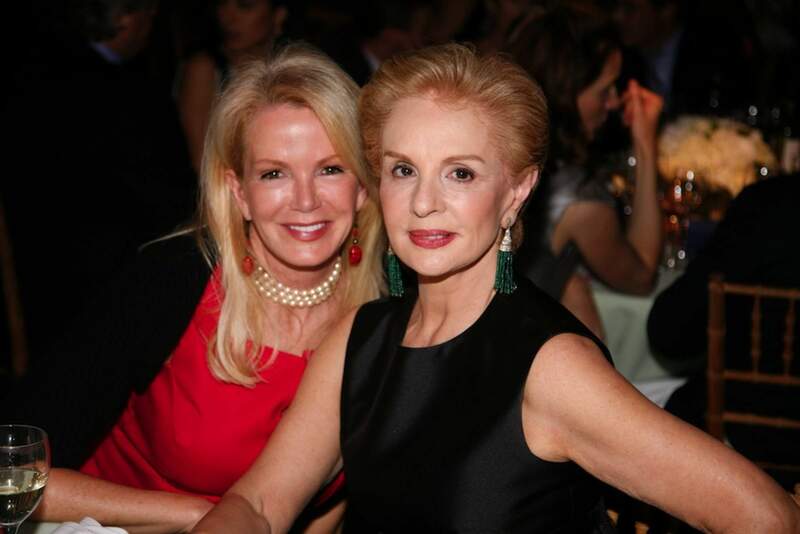 Anna organized the extremely successful Vogue Photography Auction to benefit God's Love in 2003, and today is a driving force behind our biggest event of the year, the Golden Heart Awards dinner. 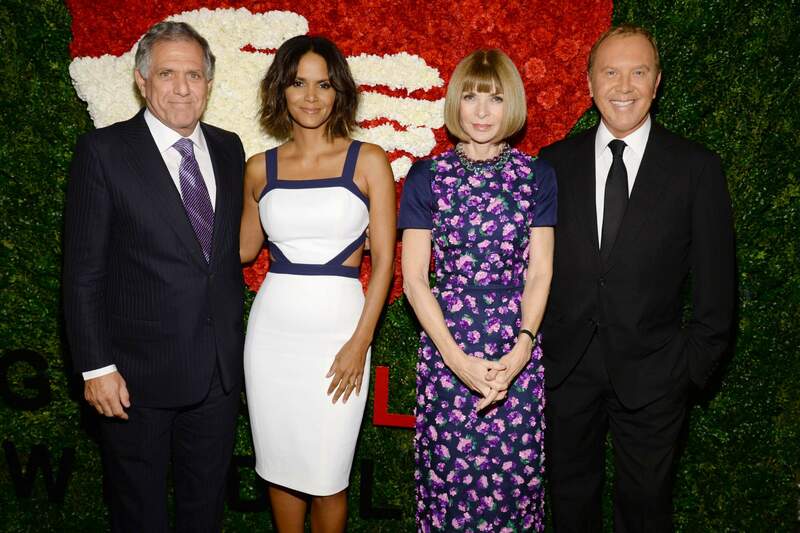 In 2014, God's Love We Deliver and Board Member Michael Kors presented Anna with the Michael Kors Award for Outstanding Community Service. God's Love is forever grateful for Anna's leadership, friendship and dedication to our important mission! Image 20 of 29 In the late 1980's, at the height of the AIDS pandemic and the early days of God's Love We Deliver, an unassuming man had become a regular volunteer, working in the kitchen and making deliveries. That man turned out to be Henry van Ameringen, a great long-time supporter of God's Love. Henry showed his dedication to our mission by giving his time and his financial support. 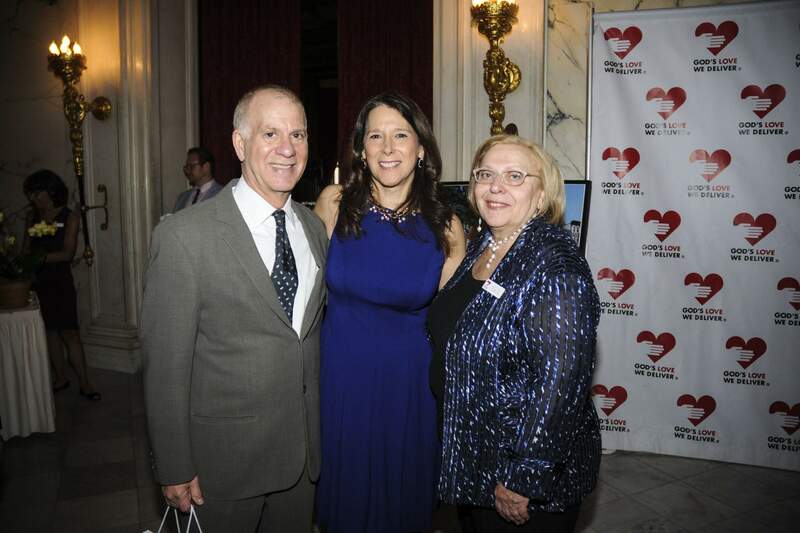 Over the years, the H. van Ameringen Foundation has done so much for people living with HIV/AIDS, mental illness, the LGBTQ community and other marginalized communities. And so much for God's Love. We thank Henry for his wonderful generosity and steadfast support! Image 21 of 29 For more than 20 years, the wonderful people from Ralph Lauren have been amazing ambassadors for the important mission of God's Love. More than 1,000 RL volunteers have donated countless hours in our kitchen, making meal deliveries, and supporting our events, such as the Race to Deliver. At RL, employees are encouraged to create meaningful connections in the neighborhoods in which they work and live. They dedicate their time to making a difference and we're delighted that so many choose to spend time with us. The Ralph Lauren Corporation has provided significant and much needed financial support for more than 20 years as well. The Polo Ralph Lauren Foundation funds initiatives in cancer care, education and service in underserved communities. We are very proud of our long-time, successful partnership with our friends from Ralph Lauren, and salute them on the occasion of our 30th Anniversary. Thank you for all that you do! Image 22 of 29 Because our home-delivered meals and nutrition counseling are provided free of charge, the support of our community is critical to accomplishing our mission. We thank Susan G. Komen® Greater NYC for their continued support, helping God's Love to uphold our promise to deliver nutritious, medically appropriate meals to women, men and children whose lives have been affected by breast cancer throughout the five boroughs of New York City. 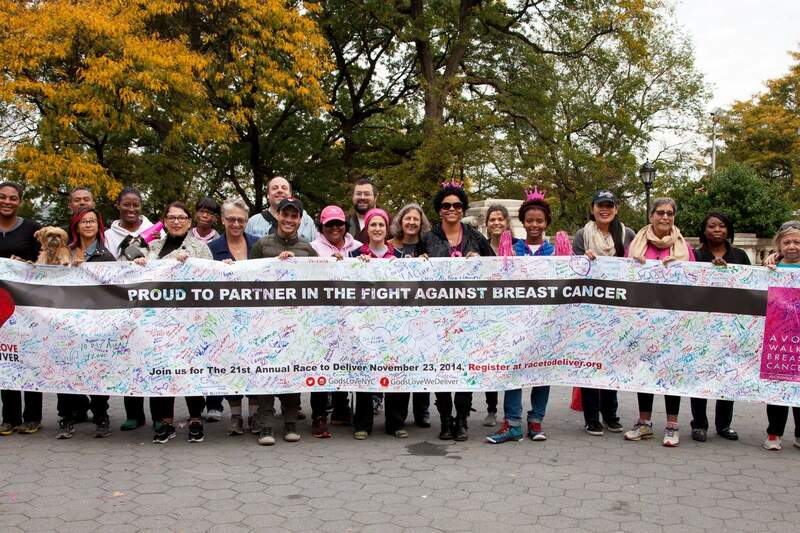 In 2015, Komen Greater NYC awarded $1.64 million in grants to 25 community partners including God's Love, providing a variety of breast health programs and support services, and invested $700,000 in research to find the cures. Komen Greater NYC invests 25% of every dollar raised in national breast cancer research, while 75% of the net monies raised goes right back into the communities to fund local community-based breast health education, screening, treatment programs, and clinical trials enrollment. 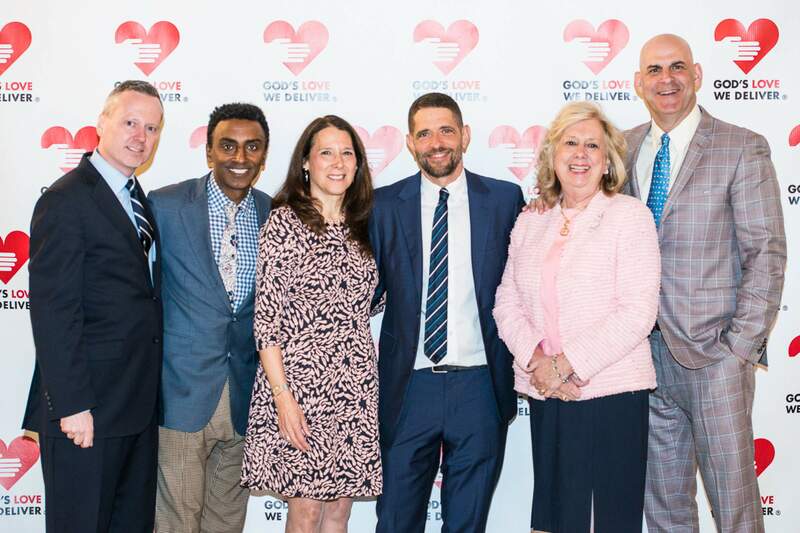 In 2014, God's Love We Deliver proudly accepted the Community Impact & Innovation Award at the Komen Greater NYC Impact Awards in New York City. Thank you, Komen Greater NYC for all you do for God's Love, and so many in our community! Image 23 of 29 1,200 holiday bags decorated by Friends Seminary students Since 1992, the students of Friends Seminary have helped put a smile on the faces of literally tens of thousands of our clients. Every holiday, these great kids and young adults help decorate holiday meal delivery bags as part of their service to the community. Service is integral to Friends educational mission. Their Community Service Program strives to instill a sense of stewardship of school community, and respect for responsibility to our urban neighborhood and beyond. By providing opportunities within the curriculum and in other relevant activities, students can witness and understand the needs of others. Through these experiences, Friends hopes to prepare their students for a life that includes service. At God's Love, we applaud that mission, and, with a dedicated staff of 80 and more than 8,000 volunteers annually, we try to live up to it every day. Thank you Friends Seminary for more than 20 years of friendship and support! Image 24 of 29 Macy's and Bloomingdale's have been dedicated supporters of God's Love We Deliver since nearly the founding of God's Love and the beginning of the HIV/AIDS pandemic, leading the way for corporate involvement since the 1980s. In 1990, when our kitchen couldn't handle the volume of Thanksgiving meals, Bloomingdale's cooked all of the turkeys so that our clients could have a delicious holiday meal. Macy's and Bloomingdale's also purchased one of our first delivery vans. They believe in giving back to local communities. Their leadership and volunteer efforts help create stronger, healthier places in which to live and work. That belief is put into action through their award-winning employee volunteer program, Partners in Time. In 2014, 34,000 participants joined in thousands of community projects, totaling more than 188,000 volunteer hours, including many hours spent in the kitchen and making deliveries for God's Love. For being two of our earliest and most steadfast supporters, God's Love We Deliver offers profound gratitude, and is proud to recognize Macy's and Bloomingdale's as we celebrate our 30th anniversary year! Image 25 of 29 The New York City Council has been a valued partner of God's Love We Deliver for many years. God's Love is unique in that we reach every neighborhood and street in all five boroughs, so each of our 51 Council Members serve hundreds of constituents who benefit from our home-delivered meals. Because there is currently no dedicated public funding stream for our programs that serve people with severe illnesses other than HIV/AIDS, the support of the Council has been vital to our core principle of never turning anyone away. As our services have grown, so has the Council's support. 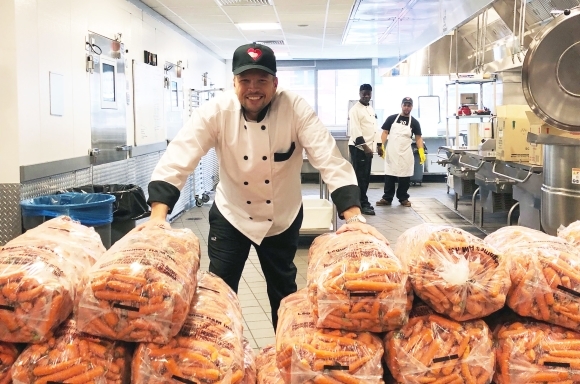 Each year, Council Members raise awareness about the needs of our clients by volunteering in our kitchen, delivering meals, and educating the public on the role of food and nutrition in our city. The Council has been instrumental in helping us grow in other ways, too. In 2004, the Council helped us renovate our kitchen through a generous capital grant. Our expanded building in SoHo would not have been possible without the Council's remarkable award of $8 million in capital funds for this expansion. With the Council's continued support in the future, we will be able to manage our growth, while helping our clients to be as healthy as they can be for as long as they are able. We are so grateful to the Council for their years of support, leadership and partnership with God's Love! Image 26 of 29 Scott Bruckner joined the Board of Directors of God's Love in 2008, and for the past four years has served as our Board Chairman. While Chairman, Scott has presided over record growth, in meal numbers to 1.3 million annually, in volunteers to more than 8,000 annually and in fundraising, with our current budget approaching $13 million. Amazingly, throughout this period of unprecedented growth, we've maintained our core principles that our program will always be free of charge and that we'll never maintain a waiting list. Next month, we'll dedicate the new Michael Kors Building at God's Love, an incredible initiative that Scott has worked tirelessly to support. Scott has also been wonderfully supportive of our volunteer efforts, both as an individual and coordinating group volunteer sessions with his colleagues. Scott lends a hand and his whole heart, and we're a stronger organization for it. We thank Scott for his leadership, passion and dedication to our important mission! Image 27 of 29 For more than 20 years, Bloomberg, Bloomberg Philanthropies and Michael Bloomberg himself, have generously supported the work of God's Love We Deliver. 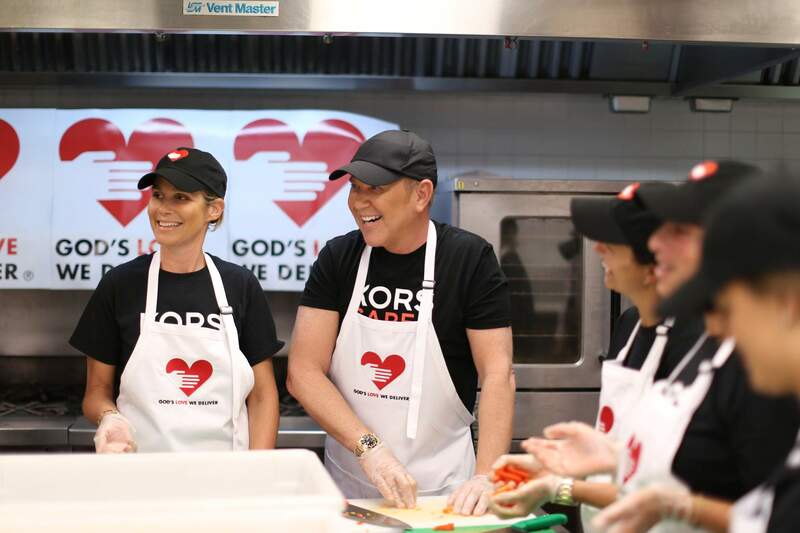 Bloomberg has provided critical financial support, helping God's Love to cook and deliver healthy meals to thousands of clients, children and caregivers. During the holidays, Mr. Bloomberg has worked the line side-by-side with our volunteers, packing delicious meals in our kitchen. 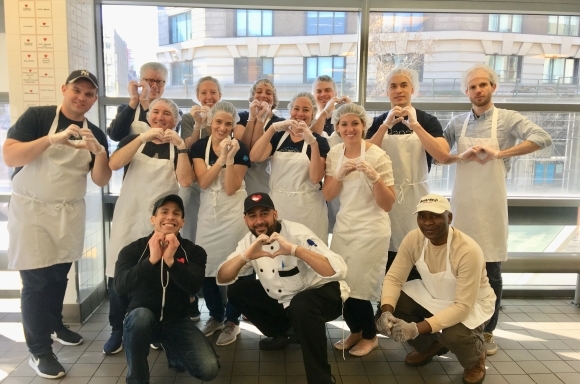 The company has also sponsored our Race to Deliver and Golden Heart Awards Dinner, and hundreds of enthusiastic volunteers from Bloomberg have helped God's Love pack and deliver meals over the past two decades. Thank you Mr. Bloomberg and all of our friends at Bloomberg for your long-time, dedicated support! Image 28 of 29 The staff of God's Love We Deliver is at the front lines for our clients, whether they are van drivers handing our clients their meals, Registered Dietitian Nutritionists designing illness- and treatment-specific menus, or Client Services Representatives supporting our clients through intakes. Our Volunteer Department welcomes, trains and supports every volunteer that works with us. The Development and Events teams work nonstop to secure the funds we need to provide our services free of charge, while Finance helps balance our budget. The Facilities department keeps our office and building running smoothly, and our IT team keeps us plugged in and connected. Our HR team makes sure we work with the best employees around, and Communications gets our message out in print, online and more. Our dedicated Kitchen staff makes sure we cook unique, delicious and nutritious meals, held to the highest food safety standards, and our Kitting team ensures that every meal is packed correctly for every client. Image 29 of 29 Without the help of our amazing volunteers - 8,000 strong every year - we simply would not be able to cook and deliver over 5,400 delicious and nutritious meals each weekday to our neighbors in need. Outnumbering our staff by a ratio of more than 100 to 1, volunteers work in the kitchen, deliver and package meals, work in our office and help out with special events. Our dedicated volunteers come from all walks of life, building friendships and relationships across shifts. We pride ourselves on the strong sense of community among our volunteers and staff. For thirty years, because of our volunteers, we can deliver love and hope, all wrapped up in nutritious meals, to our clients. Photos by David DuPuy. View the full album at our Facebook page.